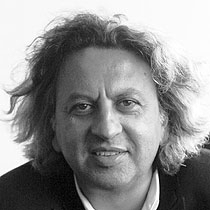 Vesely is one the most influential teachers of architecture in the U.K. Originally from Prague, he is well versed in philosophy and art history. This book is the summation of years of research and thinking on creativity and its role within contemporary architectural practice. I feel fortunate to have both studied and taught with him. This is one of the most concise reflections on the relationship between architecture and the city. Rossi brings together his knowledge of history, sociology, and geography to enhance our urban imagination. Undoubtedly one of the most preeminent historians of architecture, Ackerman is still going strong, here unraveling the work of one of the greatest architects ever. I feel lucky to know James Ackerman as a friend. 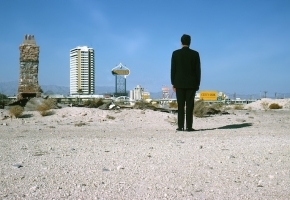 Reyner (Pete) Banham was a genius in selecting topics of study well ahead of his time. This is one of the first and still one of the best books on the technologies of the building envelope and their consequences. One of the last of the old-fashioned variety of “British Gentleman.” Price's architectural speculations and realized projects are still radical today. He was an inspiration for me, but more importantly to a generation of architects that includes Archigram, Foster, Rogers, Grimshaw, and Koolhaas, to name just a few. Apart from all its other attributes, one of the best books on the idea of the city as an architectural section. There is little genuine architectural criticism today. Colquhoun's writing is a wonderful, precise, and clear example of the genre. I was lucky enough to have met Summerson. This book is indispensable as a history of an important period in the development of London as well as for the study of architectural form and its social repercussions. A collection of essays on a wide-ranging set of themes bringing architecture and design under the same umbrella, demonstrating Rykwert's extraordinary range and originality. Conrads’s little encyclopedia provides one of the best introductions to some of the most critical ideas in architecture during the iconic period of 20th-century modernism. 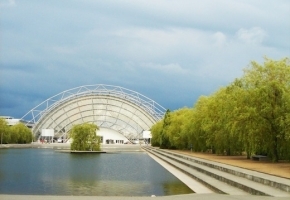 Evans had an amazing mind and saw architectural ideas like no other. His writing has a lightness of touch that invariably makes the past vital for the present. I am glad that I had the opportunity to initiate putting these essays together. Three very short essays on Foucault's notion of the apparatus, on friendship, and on what it means to be contemporary. All three themes are of utmost relevance to designers.